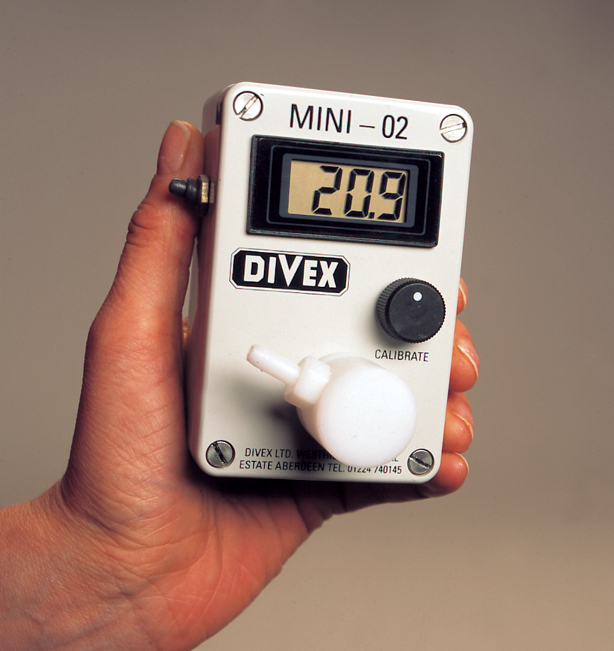 The Divex portable O2 analyser provides a fast and accurate response to changing oxygen levels. Designed to withstand harsh environments, the portable oxygen analyser is ideal for on-line O2 monitoring, or for verifying O2 levels from gas cylinders, gas distribution panels, diving chambers and even compost heaps. It is both water resistant to IP65/NEMA4 and drop resistant. The O2 sensor is mounted internally for protection and to eliminate inaccuracies associated with sensor handling. Because all our oxygen sensors are fully temperature compensated you can be sure of a highly accurate reading at concentrations up to 100% O2.